Banksia pods originate from southwestern Australia. They grow on trees from the Banksia genus. However, of the many Banksia species, typically only the pods from the Bull Banksia (Banksia grandis) are large enough and solid enough to be used for woodturning applications. 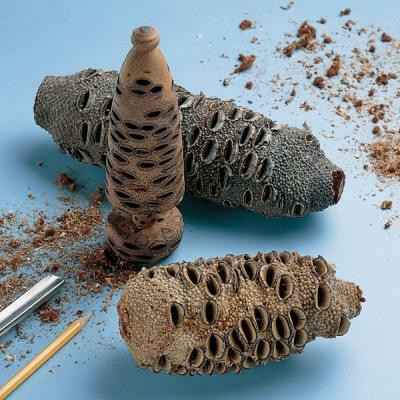 These pods are commonly compared to pine cones, though Banksia trees are not conifers and aren’t related to pine trees (Pinus genus)—the seed pod itself is considered the fruit of the tree. 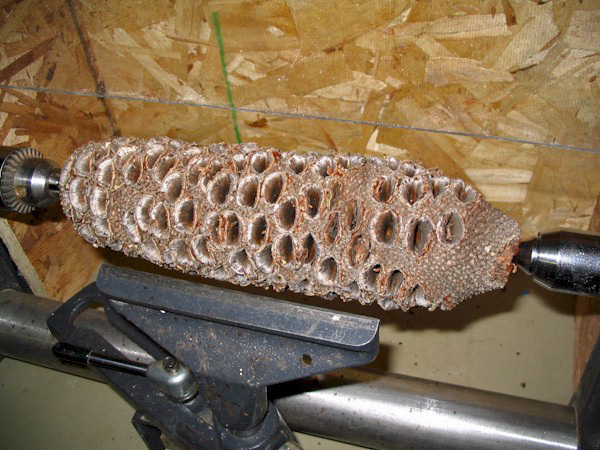 In woodworking applications, banksia pods range in size from 4″ to over 12″ long, with a diameter ranging from 2.5″ to 5″ wide. Just under the exterior of the pod, there is an area of reddish brown fuzz-like material. Further toward the center is the denser, wood-like core. 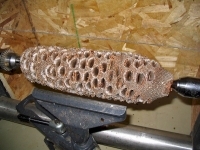 The seed cavities can reach well over halfway into the pod, giving turned projects a very unique appearance and texture. 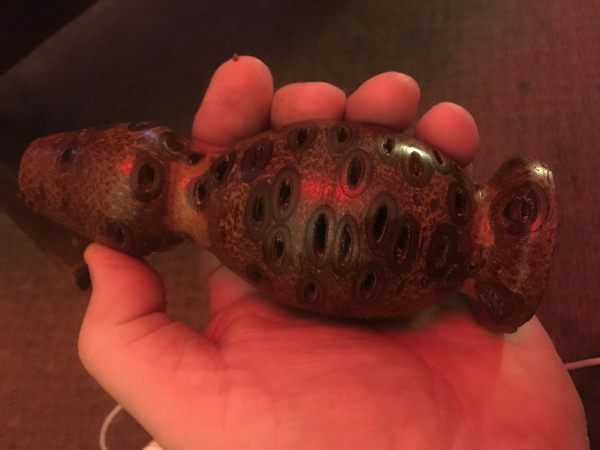 Some woodturners fill these voids with resin or other colored inlay materials, while others choose to showcase the openings as a prominent design feature. 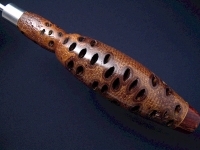 Just turned my first Banksia pod, made a lovely candle holder, beautiful finish. Next one will try resin inlays.